Things are hotting up at BoS Towers - just 13 days until #BoS2018 kicks off in Boston. We're getting seriously excited to hang out with the BoS community and take 3 days to see a group of entrepreneurs investing in themselves, meeting each other, and getting fired up with ideas from our brilliant speakers and fellow attendees. Before that, today we've got a Hangout with Chris Savage about scaling Wistia and buying out investors in just a couple of hours (10.00 ET, 18th September). Come along and join us for a conversation that's bound to be helpful for anyone leading a growing business. Over 12 years of Business of Software Conferences, we've heard over 200 talks, from over 150 speakers. 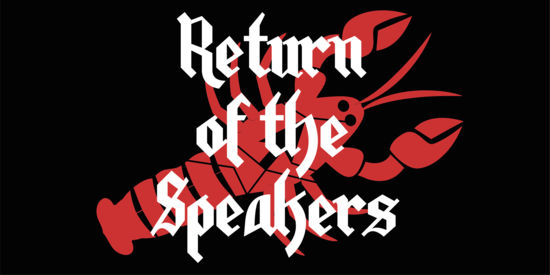 This year, 8 speakers are returning to the BoS Stage. Click below to find out who's coming back, and to watch their previous talks (including our most-watched Lightning Talk, and the only talk to ever receive a standing ovation at BoS). Today we're hosting a live Q&A with Chris Savage, CEO of Wistia. We'll be talking about the big news over at Wistia recently - Wistia's co-founders Chris Savage & Brendan Schwartz turned down the offer to sell the company and have instead taken on $17m of debt – seemingly a strange move. Why? Because Wistia are in it for the long run – they want to run their business their way. We'll be chatting about the thought process behind the decision, how it affects their future planning, and the pressure of taking on that responsibility as a CEO, as well as Chris' talk at BoS USA 2017 about the lessons he'd learned as Wistia grew and scaled. It's the final speaker announcement for BoS USA! 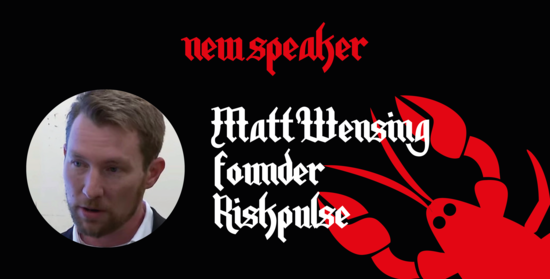 We're delighted to have Matt Wensing, Founder of Riskpulse joining us to give a Lightning Talk, intriguingly titled '1 Startup in 10 Years vs 1,000 Startups in 10 Minutes'. Matt's written a blog to give you some background on the research he's been doing - a really interesting read ahead of his Lightning Talk in 2 weeks' time. Learn more about Matt and his session below.